Google is reminding site owners that they shouldn’t add URLs that are being redirected in the sitemap they submit to Google. The question came up on Twitter about whether it should be avoided or if there was no detrimental effect to having them in a sitemap. John Mueller answered on Twitter and said that sitemaps should really be for the URLs you want indexed, as it is also a canonical signal. For the most part, unless you think Google doesn’t already know about the redirected URL and there are important links pointing to it, there is no need to include a redirected URL in the sitemap file. 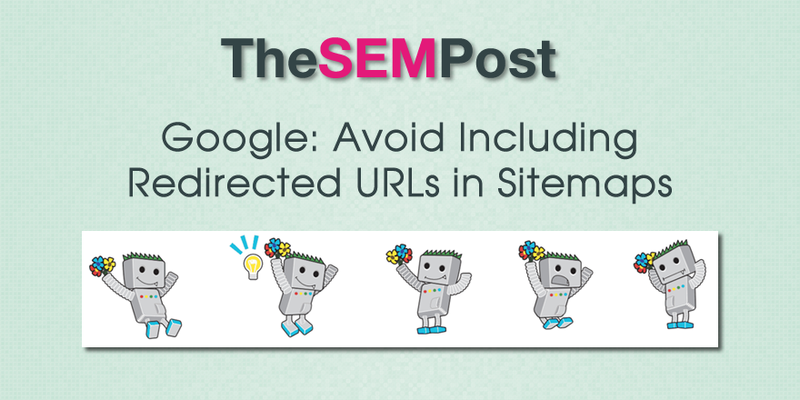 But if Google doesn’t have that redirected URL, sometimes it can be a reason to include it in the sitemap, or you can use the fetch and submit via Google Search Console as an alternative. Google has also said previously that Google uses many signals to determine which URL is the canonical, especially if there are conflicting signals, such as a redirected or non-canonical URLs in the sitemaps, or canonicals that reference themselves. So when you don’t want to let Google guess at which canonical you really mean, including the canonical in the sitemap and not including the non-canonical URLs in the sitemap is a pretty strong signal, when on-page canonicals are also correctly used.